This entry was posted in Canada Canada Immigration and tagged Apply for Canada PR Canada Express Entry Canada Express Entry System Canada Immigration Canada Permanent Residency immigrate to canada from india on February 5, 2015 by Blog Author. Canada is an immigrant’s dream. Ranked as one of the top destinations for immigration, this North American country is having the best health care facility, robust economy, safe surroundings and multicultural environment. It also has a lot of places which one can visit as a tourist. This country has the best on offer for an individual’s overall growth. Some of the world’s leading educational colleges and universities are found here. Apart from this, the job opportunities provided are varied and numerous which attract skilled workers and other tradesmen to this nation every year. If you wish to immigrate to Canada, you can do so through the newly launched, expedited way called Express Entry Program. This new method of migrating to Canada was started in 1 January, 2015 through which individuals can apply for Canada Permanent Residence under certain economic immigration programs. The Express Entry migration system entails the following categories and only people who fall under any of these can apply. Create an online Express Entry profile for yourself. There is no need to worry about application deadline or caps in this program. During the profile creation, you will be required to furnish details about yourself pertaining to your educational qualifications as well as work experience and skills. Once you have created your profile, it will be accepted into a pool of candidates. If you are registered with the Canada Job Bank, the chances of your application getting accepted increases abundantly. If found to be genuine after evaluation, you will receive an invitation to apply for Canada Permanent Residence, which you should do within 60 days. 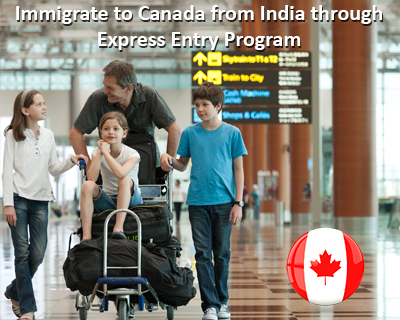 The entire process is a faster way of immigrating to Canada. It will take approximately six months or lesser to process the applications.